Hong Yang Hoo T.Y.T Sdn Bhd today is a household name as its herbal products have been trusted and used for more than 50 years by generations of Malaysians. Besides its famous TYT Herbal Medicated Oil, the company also produces other herbal products such as medicine powder for babies, TYT Confinement Herbal Bath for mothers and TYT Herbal Foot Bath. All products are guaranteed 100% herbal based. In 2003, the company took on a re-branding exercise. 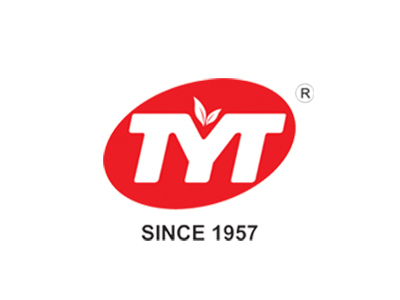 It changed its logo from Double Swords to TYT. In 2006, its signature Herbal Medicated Oil, TYT Herbal Medicated Oil was awarded the HALAL certification by JAKIM Malaysia and received approval from the Ministry of Health, Malaysia. It is packed in hygienic High Density PE and PET plastic bottles for easy handling and convenience and available in 4 sizes (30ml, 60ml, 120ml and 58ml roll-on pack). Hong Yang Hoo T.Y.T Sdn Bhd is set to grow bigger in the coming years and we welcome all enquiries to be our distributors for Malaysia and overseas. Contact us if you are interested to market our products.